This confetti system utilizes two horns for maximum height. 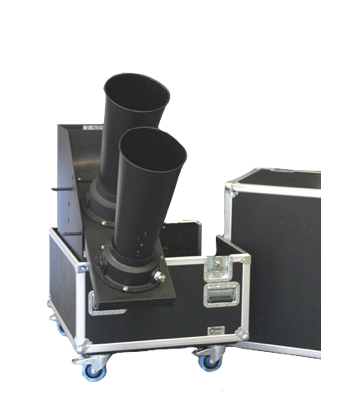 The 3″ gerb can boost confetti up to 50 feet and is great for indoor venues. Each unit can throw 50 pounds of confetti in less than a minute. Each unit operates off of two 50 LB. CO2 syphon tanks. We provide two 20ft CO2 hoses with a ball valve for easy installation and use.